Maruti has announced a free service camp on the occasion of ‘World Environment Day’. The main motive of this service camp is to keep your car in tip top condition so that it will not affect the environment. Maruti is going to offer free pollution control check, inspection of air and fuel filter, spark plug and fuel hose check up along with complimentary dry wash. On this day customers can avail service vouchers which can be redeemed on regular services. The campaign will start from 1st June to 10th June, 2018 at all Maruti service centres. Maruti Suzuki announced the nationwide ‘World Environment Day’ Service Camp to offer free and detailed vehicle check-up across the country in collaboration with SIAM (Society of Indian Automobile Manufacturers). The camp will be held from June 1st-10th, 2018 at its authorized dealer workshops across the country. With the service camp, Maruti Suzuki intends to create an ecosystem of green mobility for its customers. It will organise free pollution control check, emission and exhaust check along with a complimentary dry wash to effectively conserve water in the process. Additionally, a service voucher and complimentary inspection of key car components such as air and fuel filter, spark plug and fuel hose is also being offered. Maruti Suzuki car owners can visit their nearest Maruti Suzuki authorized dealer workshops to avail free vehicle check up and other service related offers. 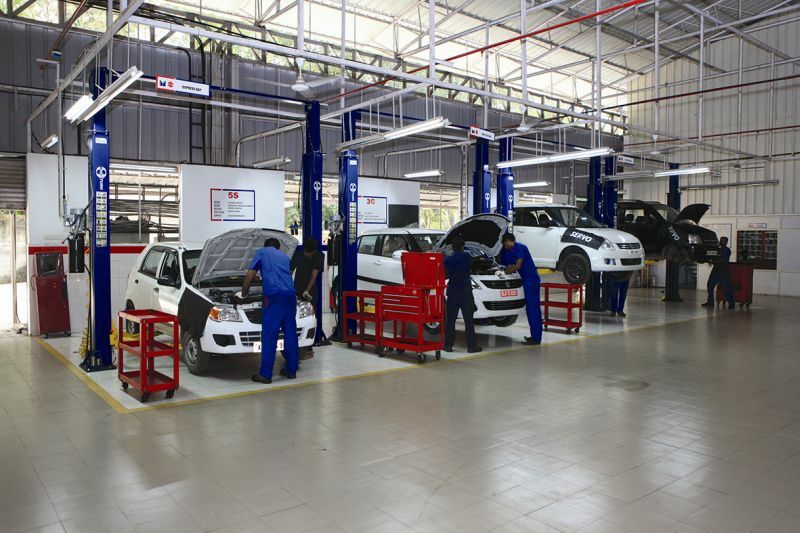 Maruti Suzuki has over 2000 authorized dealer workshops across the country.